The Vera & John live casino has a name that might sound a little odd or untypical at first, but explore what it has to offer and you’ll see it’s synonymous with the fun and friendly nature of this online casino. The couple’s names and the site’s bright colour scheme of pink and blue is upbeat, and means that it should appeal most people – including those looking for somewhere to play live casino games. The Vera & John casino gathers its games from a wide net of suppliers, and for the live casino section it has chosen two industry leaders – NetEnt and Evolution Gaming. Both companies provide cutting-edge HD visuals and immersive casino sounds for a truly authentic live gaming experience. The Vera & John live casino also works on mobile devices, with eight titles from Evolution available to play on smart phones and tablets. Evolution Gaming has optimised its live games for touchscreen devices, including iOS and Android devices, while retaining the familiar user-friendly interface that makes them so popular among live casino fans. Once players have navigated to the live casino section, they’ll be presented with the casinos available in their region. The main room has been titled Casino Paris, and features all the games powered by Evolution Gaming. Other rooms are restricted by the country people are playing in. UK residents can also enjoy Casino Cosmopolitan, which is powered by the NetEnt Live games, while other rooms include Casino Macau and Casino Singapore, which can be accessed from those areas. The games available to players at the Vera & John live casino will depend on where they're playing from, certain games restricted by location. In addition, players can enjoy more than 500 slot and table games in the rest of the casino. The Vera & John casino prides itself on the sheer number of bonuses it offers, with a range of schemes running at the same time. The first one to note is the welcome bonus, while for existing players there are plenty of other promotions where members can win cash prizes, free spins and more. 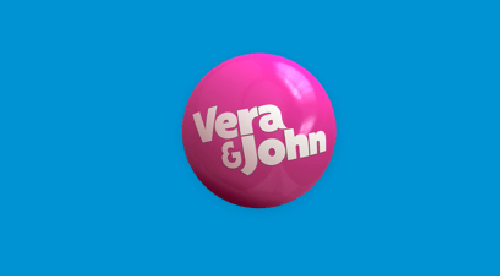 Vera & John runs prize draw tournaments regularly on its vast array of slot games. Players can register for tournaments on specific slot games and then amass winning combinations on the game itself. Whoever has the highest amount by the end of the tournament wins. The site also has a loyalty scheme, and the news and promotions tab keeps players up to date on winners, as well as the offers they might want. Players cannot try the live casino games at Vera & John free of charge. In order to fund their casino account, players can use several methods including direct bank transfer, Visa and MasterCard, and prepaid cards like EcoCard and paysafecard. Other options include online payment systems or e-wallet accounts such as Skrill, Neteller, iDeal and Trustly. There’s a fee of 2.25% for using cards, which maxes out at £5. The casino supports a number of payment methods, including debit and credit cards, direct bank transfer, prepaid cards such as paysafecard and EcoCard, e-wallets like Skrill and Neteller, as well as mobile payments. Cards come with a fee of 2.25%, while other payment methods have their own charges as well. The minimum withdrawal amount is £10, however there is a £5 surcharge if players withdraw any less than £50 at a time. There is also a maximum monthly withdrawal limit of £20,000. Just as the casino is available in a number of different languages, the customer support team can take queries in different languages, too. The casino advisors are available to speak to from 9am until 10pm daily, including weekends. The quickest way to contact them is the live chat window, but there are also email and telephone options depending upon where players are based. The aim is to reply to emails within 12 hours. The Vera & John live casino tries to inject some thrills into the live casino experience by offering themed rooms that marry up to different game providers or regions. This makes the live casino feel fresh and better thought-out than some of its rivals!